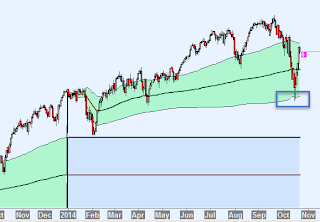 Yesterday we took a look into the higher time frame charts from the S&P 500 Cash Market. Today we will inspect some big picture charts on Crude Oil. On the monthly bars chart we can identify a one time framing lower market that occurs since three months. Also, last month's low got taken out from the current month. 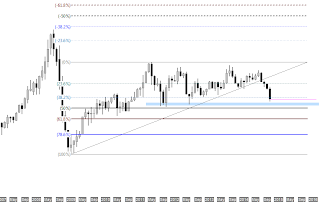 With the Price Retracement tool we can highlight a potential support area at the 50% level. Let's keep an eye on that if we moving lower. 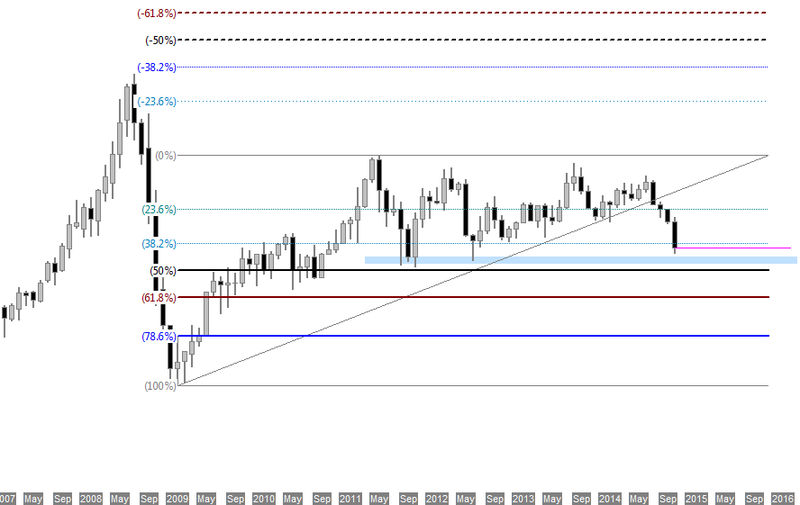 The weekly chart showing us a more indepth market insight. Obviously we are one time framing lower here as well. The current week could end up as a inside bar but let's see what will happen on the last day of this week tomorrow. Also, it looks like the market found some support at the area we marked. 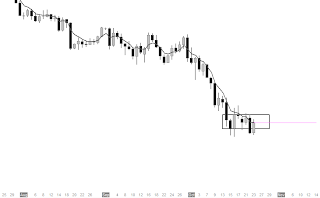 Moving forward to the daily bar chart we can see a bracket that means the market finding balance in this area here. The one time framing on this chart period ended with a outside bar. Today we opened below that bracket but well below 5EMA so, the probability for a rotation back to this weeks average was high. 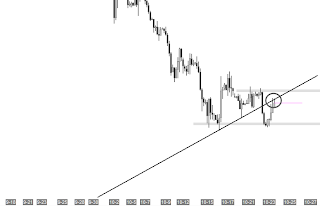 Now to the last chart of this quick top down analysis, the 240 minutes chart. 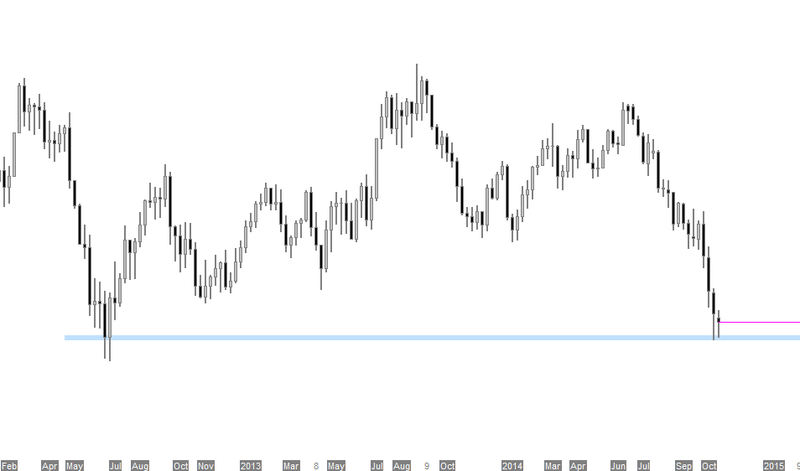 The market found support at the marked area and it looks like a double bottom now. 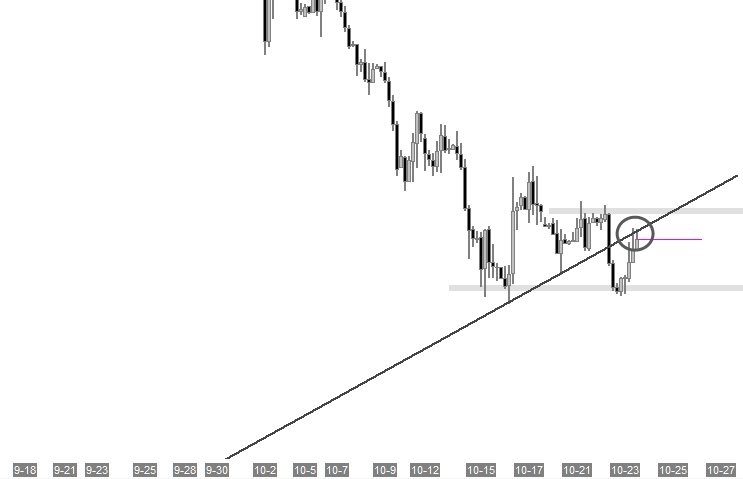 Anyway, let's see what will happen at this trendline we drawn there. 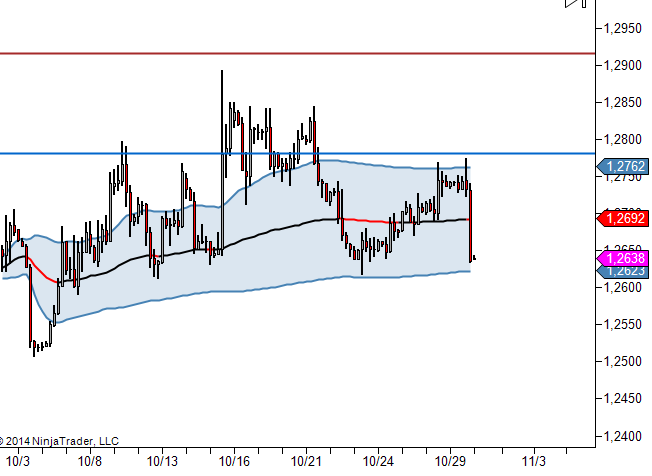 Currently it shows some resistance but we'll see. We hope you enjoyed this post. Sometimes it is very important to keep things simple to better understand the market environment without to use complex indicators and tools. 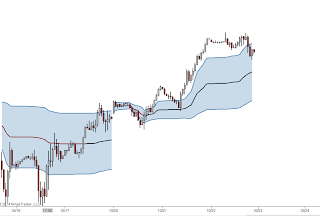 You can learn more about our analysis process with tools such as the VWAP we employ at The Private Banker with an elite or premium membership on our trading community. Sierra Chart is a solid professional quality software. Designed for efficiency and ease-of-use. It has an uncomplicated interface that can handle the most demending applications. It is developed by an experienced and competend team that stays on top of development. It has been proven and trusted by investors/traders/clearing firms for more than a decade. Sierra Chart offers a Real-Time and Historical market data feed which is fully integrated with all trading services Sierra Chart supports. It is a top-quality and low latency data feed that provides tick by tick data. And with an Elite Membership at The Private Banker you can download and use our Chartbooks we use in our day to day trading. VWAPs, Footprint, TPOs, Volume Profiles and other tools are ready to use with our regulary updated Chartbooks. Additonal you can register for the online premium trading education to use these numerous tools properly. See you on the Private Banker Trading Community! 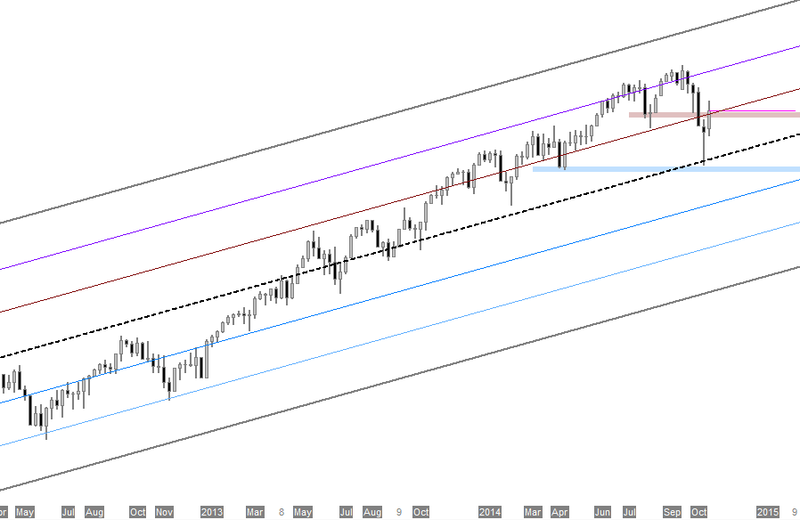 Let's take a look at the bigger pictures of the S&P 500 Cash Index with some various tools we use at The Private Banker to better understand the overall market story. What can we observe on this monthly chart? Firstly last month's low got taken out from this month and we see a somewhat of a balance bracket since the market found support. So the one time framing higher on the monthly chart has a end? 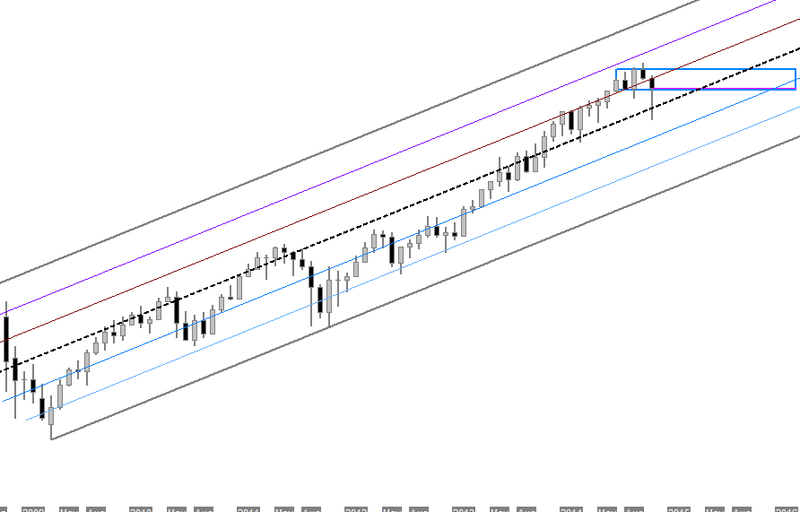 We can cleary spot a reaction at the mean of this finer placed price channel. The current week took out last week's high and ended the one time framing lower that occured since several weeks. On the daily chart we are actually one time framing higher. 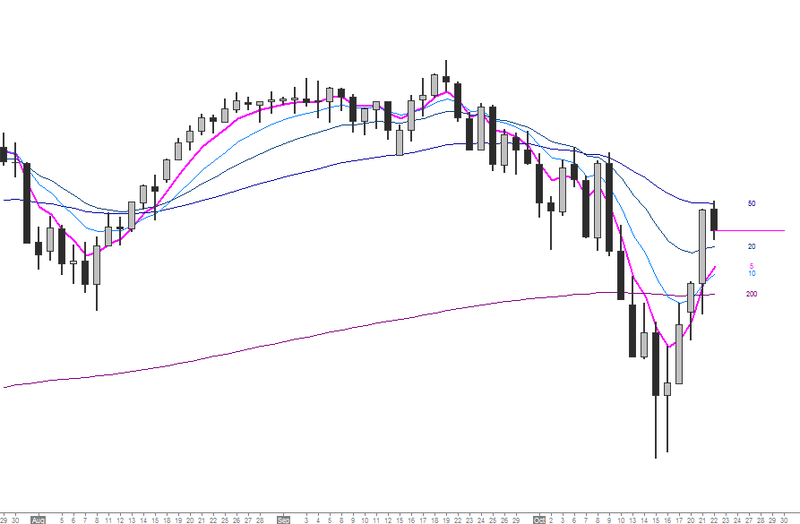 The market opened somewhat far away form the 5 EMA so, a rotation back to this week's average should be high. Also we see resistance at the longer term directional filter 50 EMA. 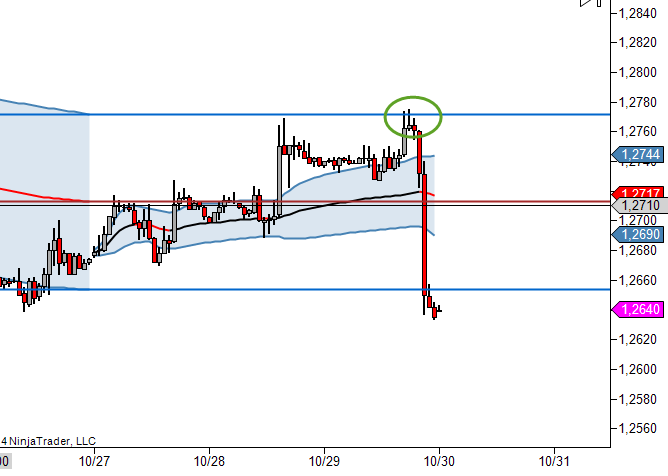 With a look on this year's VWAP we can identify a reaction at the developing value low which is confluent with the weekly price channel mean. The market moved stright to the other side of value. The likelihood of a rotational behavior in this year's developing value should be high. 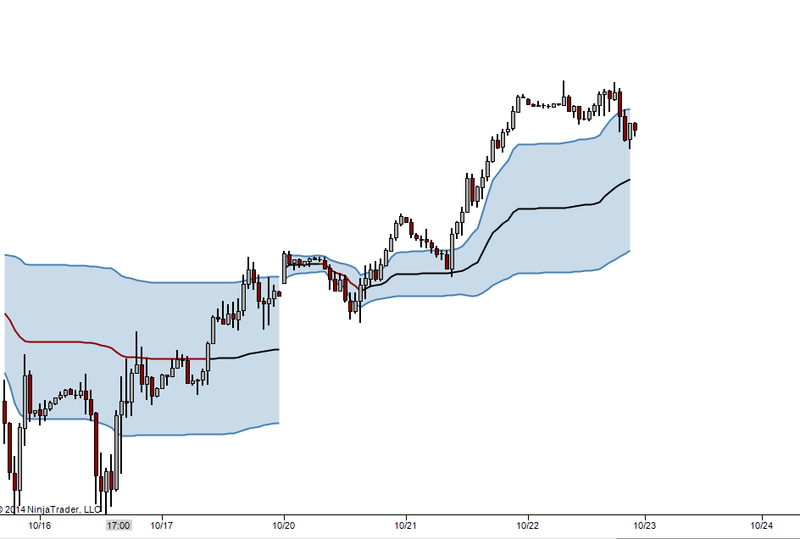 On the weekly VWAP the market trading above last weeks value area. 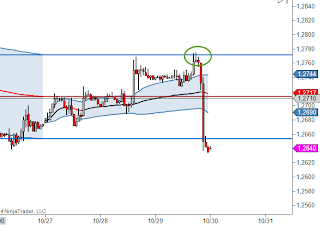 Also we see a good imbalanced market above the developing value but today we got back into value again. 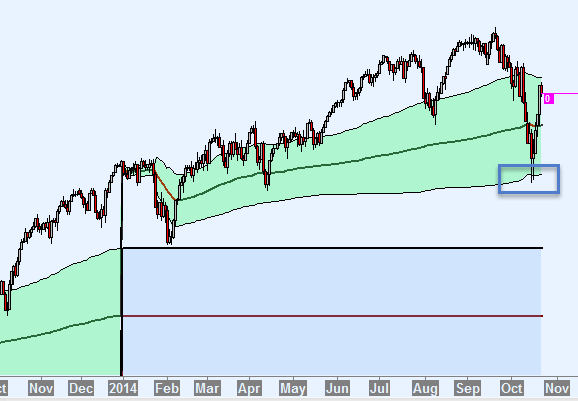 Test of DVAL could be probable in this case. Anyway, this was a quick market analysis recap for the S&P 500 Cash Index. For a more indepth understanding we recommend to join our Trading Community with a seperated premium trading education section. Also, you can take look into our Trading Glossary to better understand the terms we use in our tweets and reports. We hope you have a great week in the markets! When looking at the markets, its incredibly important to assign a filter process to better understand what the larger picture is showing vs. the smaller picture. This will obviously provide you with the path of least resistance but also help you understand what the market is attempting to do overall. For example, when determining the market's overall state, what would be best used to see that? 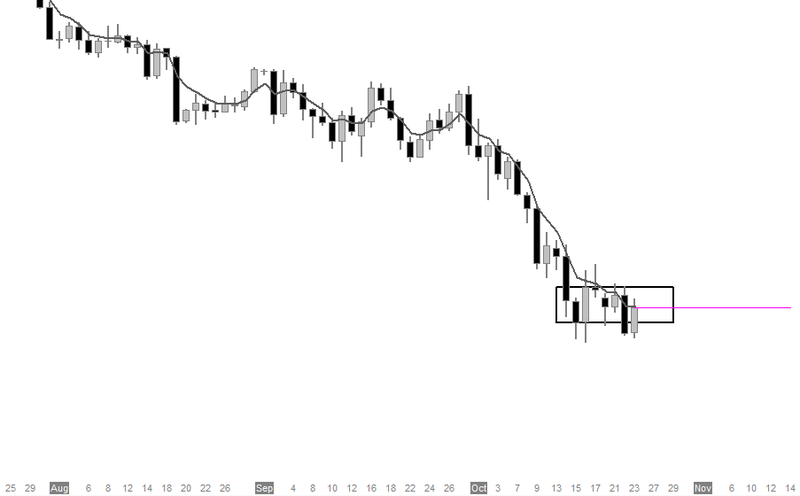 An intra-day chart or a bigger picture chart such as a Monthly bar chart? Sure, an intra-day chart will give you immediate information but it won't tell you what the overall market is attempting to do. The important thing to remember is big money moves more in step with what the bigger picture is telling us which is why its so important to have a sense of what is happening on this level. 6. Larger Time and Volume based bars such as 240 minute (4 hours), 500k volume and 100k volume. These vary based on each market but for this example, we will use the ES and SPX (cash index). As you can see, the context of each period provides you with different references as you zoom in closer but it also helps you identify the path of least resistance. So with that being said, I will walk through in the coming sections, how I actually interpret this information and use these time frames in a top down analysis using various tools and concepts to gain a sense of what the market is doing. Although this first section is very general and short in explanation, the importance is key and I highly recommend you revisit this hierarchy going forward. We are pleased to announce a new Trading Presentation about a significant tool with the name MIDAS VWAP (Market Interpretation/Data Analysis System - Volume Weighted Average Price) or Anchor VWAP. 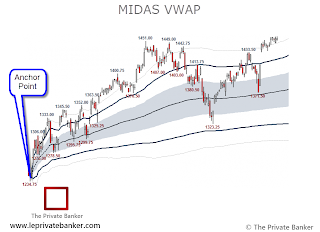 The MIDAS Vwap Presentation walks through the basics of the tool's utilization as well as its applications to help in understanding the market's underlying order flow from balance to imbalance though algorithmic execution. 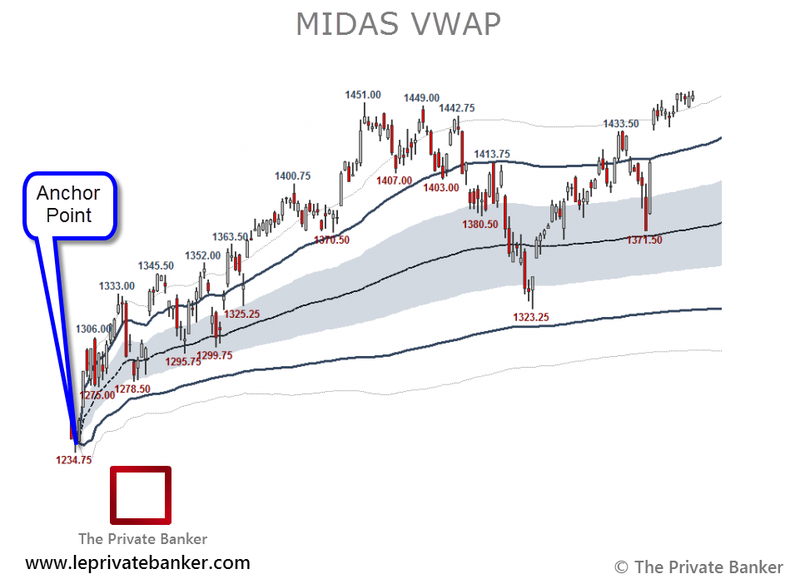 The MIDAS Vwap tool is a unique and powerful way of looking at the markets that may help add an extra edge to a trading method when combined with other key elements. Market Interpretation/Data Analysis System, or MIDAS, was developed by physicist and technical analyst Paul Levine, in the mid 1990s. It was originally conceived of as a method of analyzing market trends inspired by aspects of the popular Volume Weighted Average Price (VWAP) pricing method. Essentially, what Levine discovered was that he could accurately predict reversals in trader sentiment—and, therefore, market trends—using algorithms derived, in part, from VWAP pricing methods. Extending Levine′s insights from the daily charts on which the method was conceived, Coles and Hawkins have since expanded the fractal capabilities of the approach to apply to all time frames—from one–minute charts and swing–trading charts to charts of interest to the very long–term investor. Because Levine′s focus was on MIDAS purely as a forecasting tool, he failed to develop a framework for trading and investing management. With your Premium Membership you can watch the presentation on The Pivate Banker Community now. Make sure also to read our recommended book about this topic to apply the tool in your own trading methodology. See you in The Private Banker Trading Community! 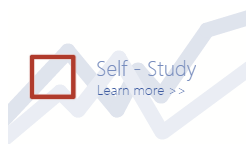 With the Elite Membership subscription level on The Private Banker Trading Community you are eligible to download and use the Chartbooks for Sierra Chart we utilize in our day-to-day trading. 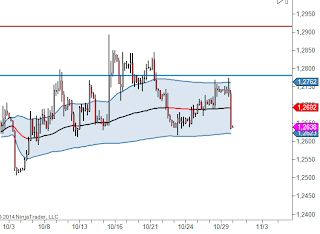 Sierra Chart provides various tools like the TPO profile, Footprints, VWAPs and other nuances to actually accomplish the Top Down Technical Analysis and Trade Methodology we employ to understand the overal market context as well as to identify the path of least resistance. With The Private Banker Chartbook you will have the set-up included the tools and numerous timeframes that are crucial to learn our Trade Methodology and Risk Management strategy. The Charbooks for different markets like Crude Oil, E-Mini S&P 500 or EUR/USD are regularly updated to the most recent standard we use and our helpful Community is always there to facilitate you with the installation process. 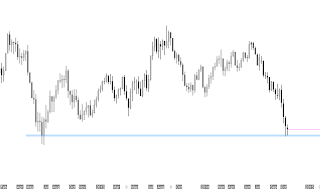 We also offer a NinjaTrader Workspace version for our clients that prefer the NT platform included with MIDAS VWAP, Footprint and the other important tools. With this Chartbooks and Workspaces you are ready to learn side-by-side with the Private Banker Trading Education. With that said, we look forward to see you in our trading community!